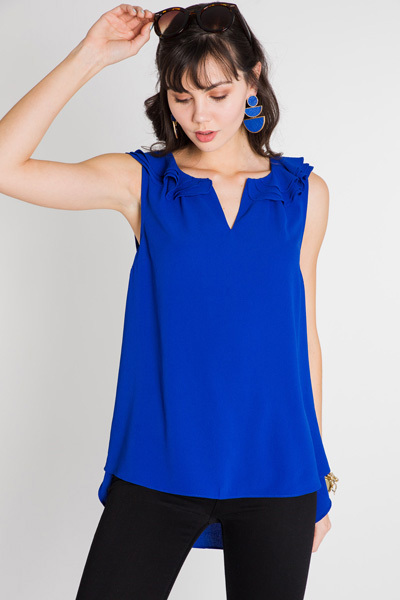 This basic tank is made from a chiffon fabric, making it an easy choice for both work and play! 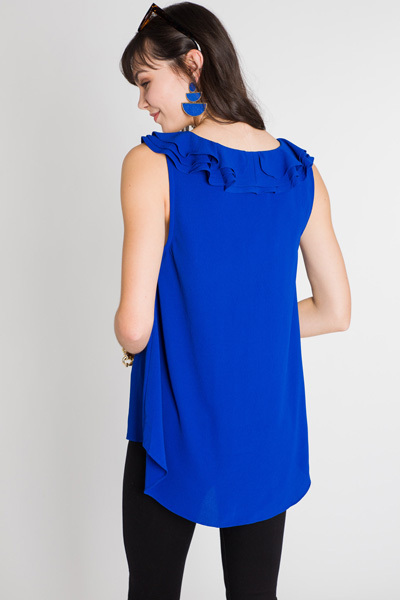 BUT, the real star of the show here is that amazing ruffled + split neckline. So pretty. A relaxed fit helps to hide any imperfections! 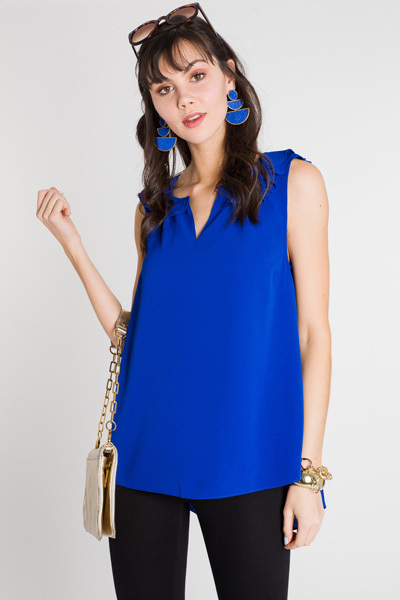 And not to mention the bold cobalt blue hue! Fits true to size, if not a bit roomy. Model is wearing a small.